This picture just says it all. Jamie was on death row last night. Tonight he’s sleeping on a comfy bed in a wonderful foster home. He’s safe. Yesterday I got bombarded with messages to pull dogs from Acct while I was working. I was tired. It was my 12 day in a row working. I already have a lot of animals in the rescue and I wasn’t looking to pull another dog. But a foster contacted me who was down to earth, level headed, wanted to help and I just got a good feeling from her. 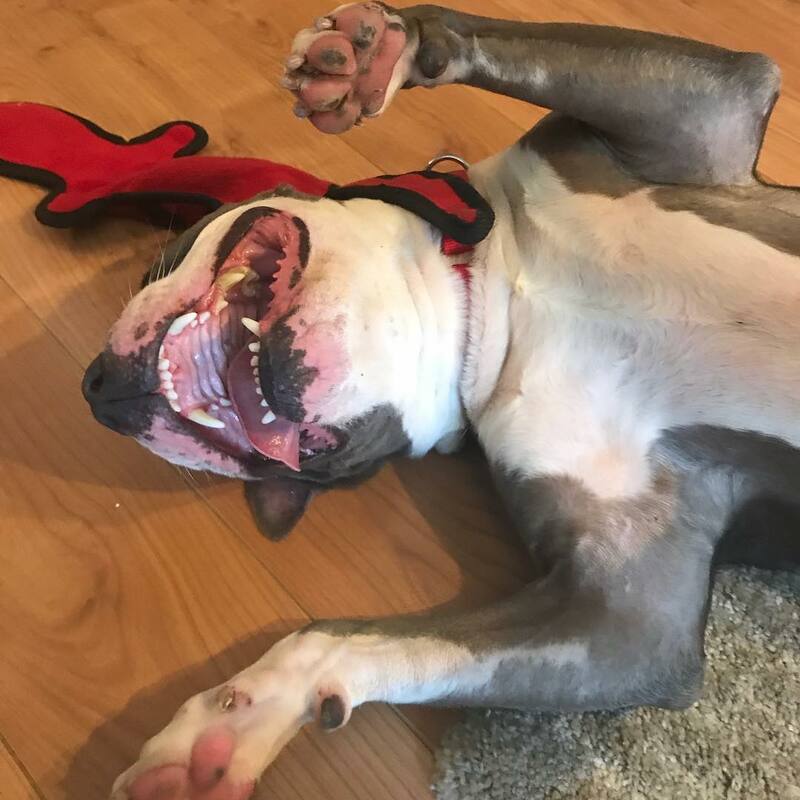 The dog she wanted to foster was at ACCT three times. 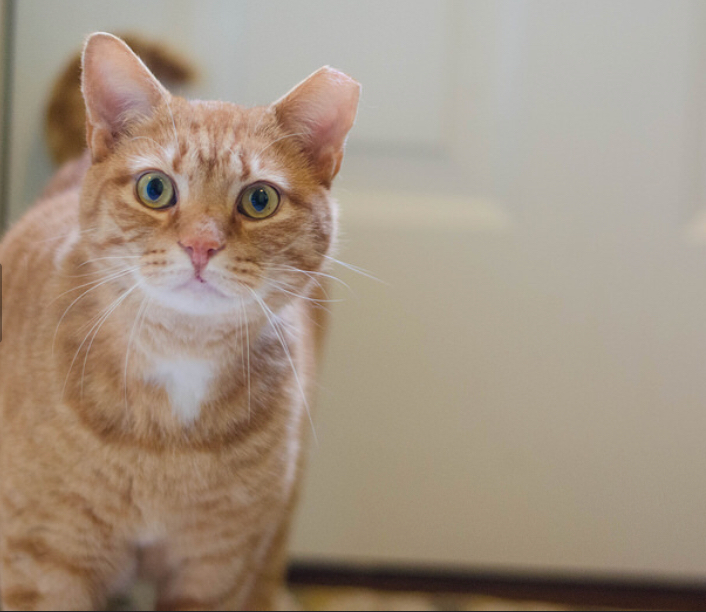 He was recently returned as a bite case because the adopter who has him three days got into the middle of Jamie lunging at a small dog. No rescue had stepped up for him and he had 45 mins left. Being in shelter behavior I knew how these things can happen. They happen but they don’t define the dog. However that’s all we see when we look at the write ups. Still I was nervous. I have a lot on my plate now and what if the foster backs out? Still I pulled him and prayed for the best. When we picked him up today he pulled like hell to get out of the shelter, choking himself on the lead. He peed for about five minutes and then tentatively got in the car. He was a little nervous but always sweet. Then we got to the foster home and he just lit up. Like he was saying “really?? I get to stay here?? This is great!” He played with toys, rolled over on his back and gave us all kisses. After we left his foster Dad brought him home a comfy bed and he fell asleep snoring. Probably the first good sleep he had in a long time. He was peeing and pooping outside the litter box. She told me yesterday he pooped on her bed three days in a row and there were worms in it and “he’s gotta go.” There had been tension in the house between and Sparrow and the other cats since the beginning. She contacted me previously and I gave her some suggestions including a vet visit to rule out UTI and also said a complete reintroduction was a possibility. The last time we spoke she added a litter box on the second floor where Sparrow was peeing. (There were only litter boxes on the lower level of the house).and we would see if that helped. The adopters were open to suggestions then but yesterday I guess they were beyond their breaking point and she was not trying to hear about a vet visit or a reintroduction or anything else. I get it. I do. I know how frustrating it can be to have an animal that pees and poops in the house. I’ve been there. I’ve had floors and personal items ruined. Sobbed as I cleaned urine the best I could off the carpet again. Throwing comforters in the wash right before bed time. I really do have empathy. And there’s a good chance that Sparrow may need to be the only cat. Sometimes a return is for the best. That being said returns are never easy for the animal or the rescue especially when your foster based and have no place to put a cat with litter box issues. When you have to take another animal to the vet on the day when you already have an overloaded schedule. When the rescue bank account is being drained so fast due to vet visits there probably isn’t even enough to cover the two animals that need to be seen today. I start to wonder why I do this. Why did I decide to go out to Gloucester in December to do a TNR project . Why do rescue at all if we’re just digging a hole we’ll never get out of? Why should I care when so many others don’t? I hate to even ask myself that. I hate feeling like this. Then I know whatever I’m feeling, Sparrow is feeling much worse. He must be confused and scared. And we need more people fighting for animals. Not less. And on we go. We’re about to head off to the vet now. Update on the dog found in Brooklyn last night! He is incredibly friendly and social with people but may be too energetic for smaller kids. He has not been tested with dogs yet. “Is the dog good with kids?” Is a question we get asked all the time. 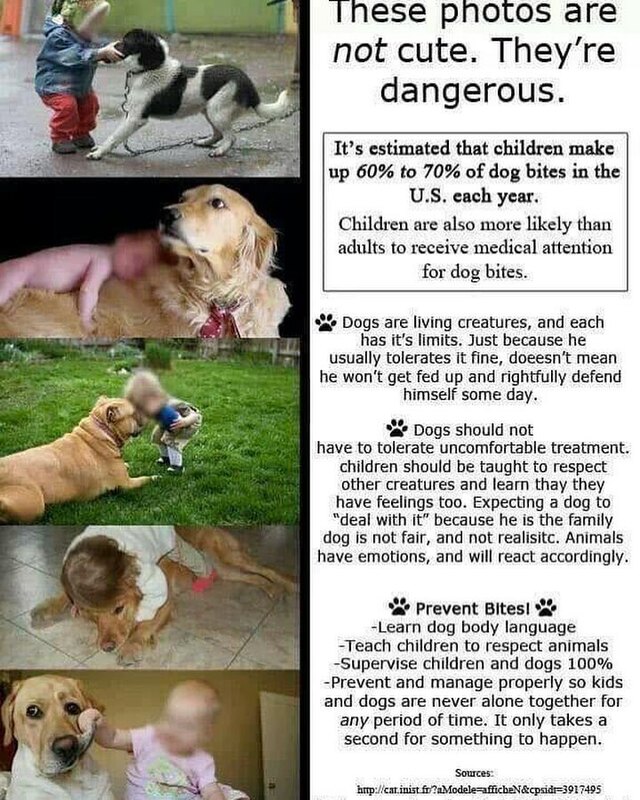 While this is important to know, it’s equally important to ensure the kids are good with the dog. No matter how tolerant a dog is initially, things can change if the dog is pushed beyond his breaking point. Many people don’t see the repeated warning signs and think the dog “bit out of the blue”. We have to be proactive in ensuring that dogs and children learn boundaries and respect each other.